St. Vincent de Paul Jubilee book, 1956. August “Gus” was born in 1906, the son of Lithuanian immigrants George and Anna (Prapuolenis) Wisnosky (Visnauskas). A graduate of Ridgely Grade School and Springfield High School, where he took general business courses, including typing, Gus joined Illinois National Bank (INB) when he was 18 years old in 1924. It took 15 years, but around 1940, he was appointed assistant teller. By 1945 he was head teller, and in 1952, he became a loan officer. Gus was promoted to assistant vice president in 1957. He retired from the bank in 1970 after a career of 46 years. It seems hardly a coincidence to me now that Gus’s bank, INB, was the only one that would take seriously the application for a $100,000 loan from uneducated Lithuanian immigrant John (Makarauskas) Mack and make the loan that in 1957 launched the Mack fast-food empire which later included all eight of Springfield’s first McDonald’s restaurants. In gratitude, the Mack McDonald’s franchise went on to do all its subsequent banking with INB. Gus’s bank also went on to garner a large share of the Lithuanian-American community’s banking business, reportedly based on Gus’s openness to Lithuanian-American borrowers who might have been discriminated against or not treated as positively elsewhere. Don’t get me wrong–it’s likely that Gus extended the same fairness, human insight and business savvy to all his customers. Otherwise, one can’t imagine him being promoted to the C-suite. However, it’s also clear that Lithuanian-Americans in Springfield knew Gus would help them get a fair hearing and a fair deal, and so they became loyal account-holders and recommended INB to their friends and relatives. 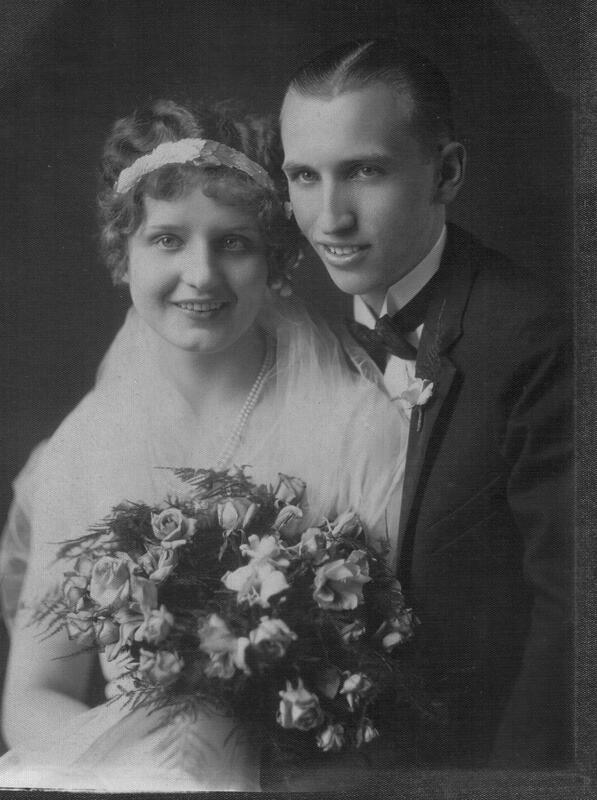 Young Ann Tisckos and Gus Wisnosky at Kasawich-Alane wedding, 1927. 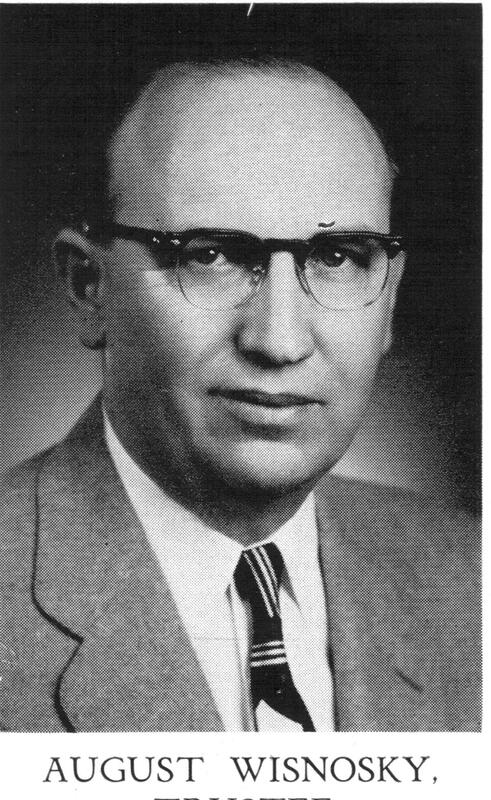 Along the way, just like Lithuanian immigrant attorney Isidor Yacktis, Gus became a shining representative of his ethnic community within much larger, city-wide organizations, such as the Community Chest, Elks Club, Knights of Columbus (K of C), and ultimately, the Sangamon County Board of Supervisors (1957-65). He participated in many civic organizations as well, such as the Springfield Art Association, Illinois State Museum Society, and Abraham Lincoln Association. Gus seems to have been active in these multi-ethnic organizations (for instance, the K of C’s Major League Bowlers and its annual Lake Springfield Festival at Villa Maria, featuring sail and motorboat races) while also remaining a pillar of his own ethnic community. 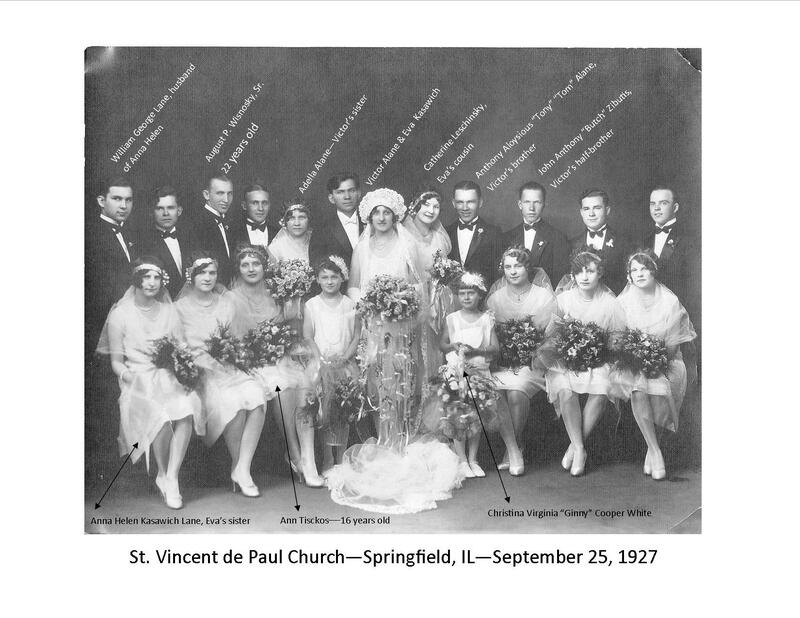 Following in the footsteps of his father George, who was grand marshal in 1911 of the pageant/parade celebrating the opening of the St. Vincent de Paul Lithuanian Catholic Church, Gus worked mightily in 1971 as head of a committee of parishioners striving to save the church from closure and demolition by the Catholic Diocese of Springfield. Gus had been a lifelong parishioner, violinist, choir member, and 22-year trustee of the church until its last days. Tragically, his death in February 1972 at age 66 followed by only one month his beloved church’s closing, so that his funeral mass had to be held elsewhere. Click to see young Gus and his wife-to-be Ann Tisckos in this photo of the Alane-Kasawich wedding party, 1927. Augie Wisnosky at the 40- year tribute to the Old State Capitol project, March 25, 2008. By coincidence, both Gus Wisnosky and Walter Rodutskey got into their positions to loan money to Lithuanians just as the end of World War II and the baby boom ignited the long and steady economic expansion that finally made real prosperity possible—if not for the immigrants who had come to Springfield 50 years earlier, at least for their children and grandchildren. The Shenendoah, Pennsylvania-born son of immigrants Kazimieras and Frances (Matulaitis) Rodutskey, Walter was a bonafide working man: a machinist at construction machinery maker Allis Chalmers for 25 years. In 1946 he joined with famous “labor priest” Fr. John Brockmeier of Sacred Heart Church to become an organizing director of what was first known as Sacred Heart Parish Credit Union. In Fr. Brockmeier’s words: “There is a tie-in between labor unions and credit unions. Both tend to improve the standard of living for the working class.” Fr. Brockmeier’s life combined labor organizing and arbitrating labor disputes with founding banks, credit unions and chambers of commerce in a civic, Christian spirit that encouraged people to work together and rely on each other through a variety of organizations in addition to their parish church. At the same time, when Fr. Brockmeier, Rodutskey and others founded their new credit union by pooling initial deposits into the modest sum of just $102.74, they put Sacred Heart parish at the center of this new effort at collective financial self-help by locating the credit union inside the parish office. In the beginning, the credit union cost 25 cents to join, was open to any family with one Catholic spouse, and made loans ranging from just $10-$300. By 1950, it had assets of $53,518.48 and 276 members. Office hours were Monday evenings at Sacred Heart, “7 p.m. to close,” according to historical documents graciously provided by today’s Heartland Credit Union (Sacred Heart’s successor). By 1996, the credit union had main offices on South Grand and Glenwood Ave. and an administrative branch on West White Oaks Dr. Membership had climbed to 7,700, deposits to $13.2 million, and loan amounts accordingly. Walter Rodutskey, who retired from the credit union in 1984 after 30 straight years of board service, played an important role in this non-profit banking institution, often as the board’s secretary. 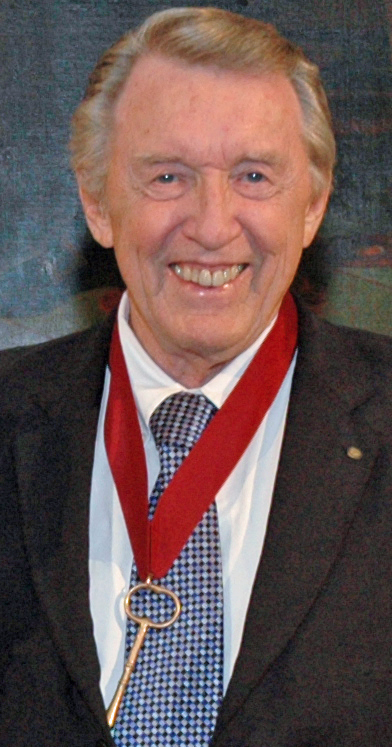 He was so committed to the credit union movement that he also served as an officer of the Springfield Chapter of Credit Unions, which included representatives of most of the city’s largest employee groups, including Pillsbury Mills, Sangamo Electric, Bell Telephone, and public unions for teachers and firefighters. Walter died at age 88 just three days after the death of Margaret, his wife of 40 years, in January 1991. The credit union that he helped found was led into the new millennium by Springfield Lithuanian-American Ed Gvazdinskas. Thanks to Tom Mann for more great newspaper archives research, without which this post would not have been possible.